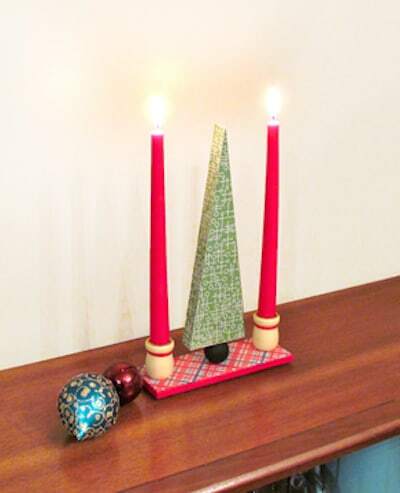 Create this gorgeous Christmas centerpiece with simple wood materials and Mod Podge. It would look awesome on your dinner table! 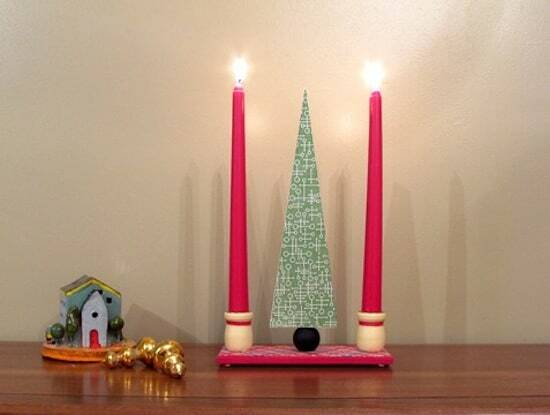 Man Podger Walter has outdone himself this time with his gorgeous, modern tree centerpiece. Walter . 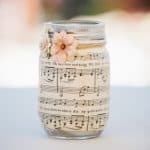 . . is this going into your Etsy shop? I think some of us want it!! I know I do. If I have to pick my favorite type of holiday decor, it's the kind that's simple and clean. Though I've been guilty of the more colorful, busy type of projects, the style just like Walter's Christmas centerpiece is my favorite. This project is not difficult, and you can see how awesome the results are; I'll let Walter tell you how it's done. 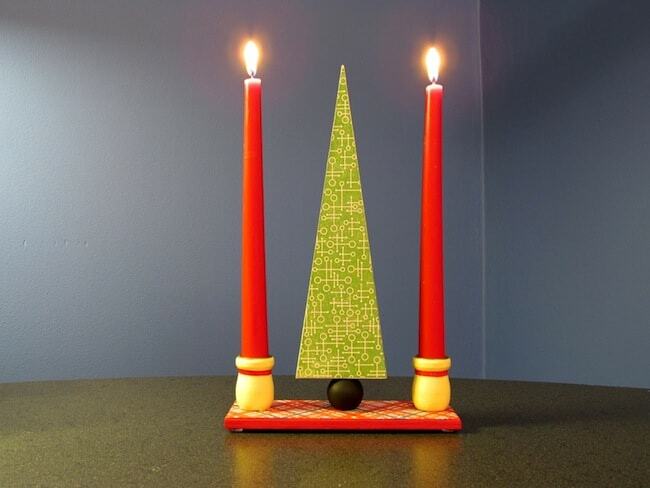 This is a easy project that can make a statement to any decor for the holidays. 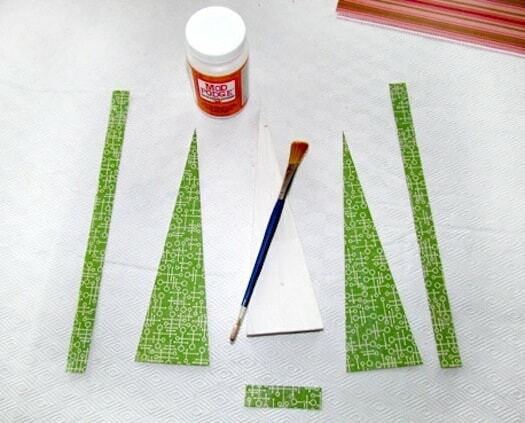 Use any type of shape for the tree and whatever papers you desire. I will show in this tutorial how I made this particular one. Step 1: Prime all the pieces with FolkArt Titanium White. Let dry for about 20 minutes. 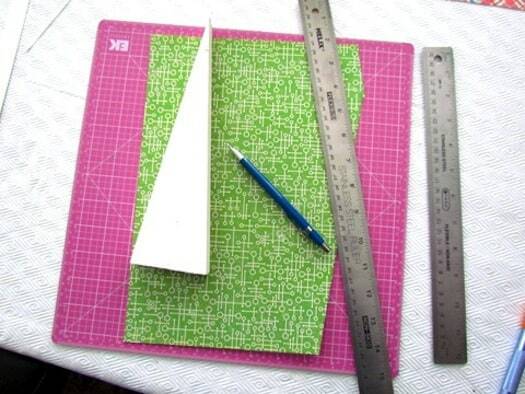 Step 2: Trace the triangular shape onto your selected paper and cut. Do the same for the base as well. 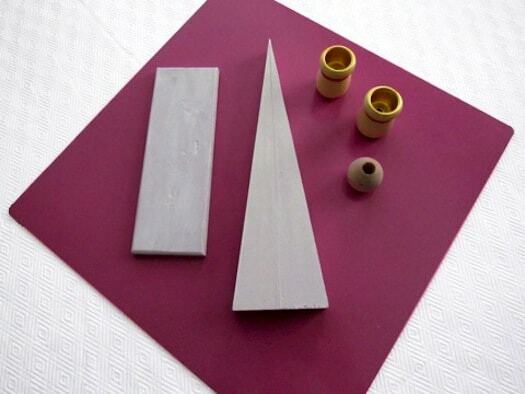 Step 3: Lay out all the shapes that have been cut out. 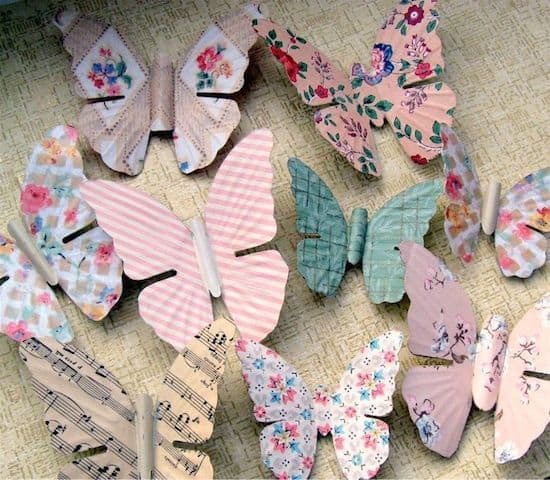 Decoupage all the pieces and let dry for at least 15 minutes. 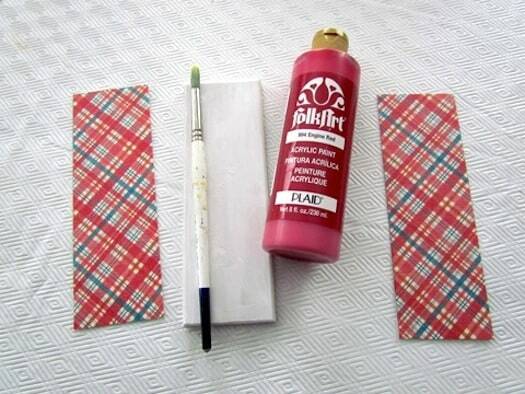 Step 4: Paint the edges of the base with FolkArt Engine Red, then decoupage the top and bottom of the base. Let dry for 15 minutes. 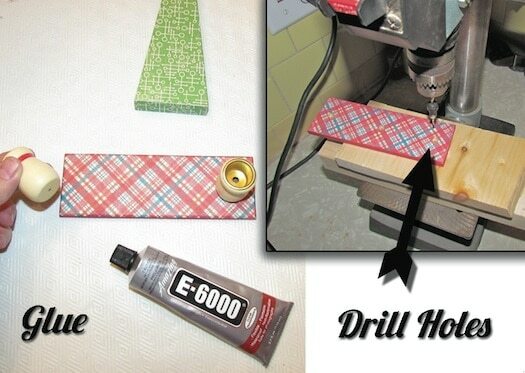 Next, attach the taper cups with a 1/2″ wood screw and a 2 1/2″ wood screw through the base, wood bead and tree to secure. Step 6: Seal the whole piece with Mod Podge and let dry for at least 15 minutes. 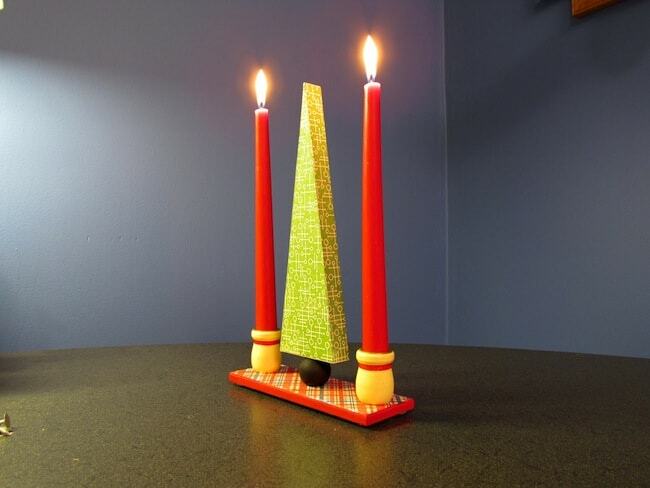 Add two taper candles and your project is complete! That was fun, simple, and I like the way my DIY Christmas centerpiece came out. 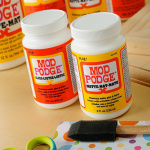 Remember to use whatever shape you like for the center and choose some interesting papers to Mod Podge. Have fun and enjoy this project! 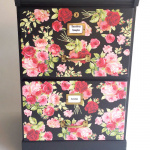 Oh my this is perfect for my open shelves, love it! I love how cute and simple it is.